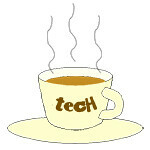 V10 « Tech bytes for tea? The latest stick vacuum cleaner from Dyson has a smaller but lighter motor and new in-line format for linear airflow path and “point and shoot” bin emptying mechanism. Prices below. Dyson launched its new Cyclone V10 cord-free vacuum cleaner together with the new Pure Cool purifying fan in Singapore at the ArtScience Museum. Dyson’s new V10 digital motor boasts 20 percent more suction power than that found in the V8 cord-free vacuum. Yet it is almost half the weight of its predecessor. The new Dyson Cyclone V10 comes in three configurations: Fluffy (S$899), Absolute (S$999), and Absolute + (S$1,199). Dyson’s fastest and most power-dense digital vacuum motor spins at up to 125,000 rpm. The new battery in the V10 now adds 50 percent more juice, extending the V8’s 40min use-per-charge to 60 minutes.